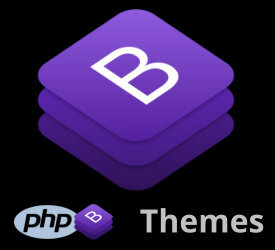 Home ~ PHP Bootstrap ~ A toolbox for creating mobile friendly websites! A toolbox for creating mobile friendly websites! "Smartphone usage is up 394 percent, and tablet usage is up a whopping 1,721 percent as these platforms now combine to account for 60 percent of all digital media time spent online. 3 Today, Google considers mobile-friendliness as a ranking signal and showcases the more mobile-friendly websites in their search results. 4 "
It's just a toolbox... for those that have an interest in making their websites 100% mobile friendly. Feel free to use anything on this website to create your own website. A footer credit would be appreciated, but it is not required. PHP Bootstrap - It's just a toolbox! When it comes to creating websites for clients, there are a thousands of options. Every developer goes through a ton of stuff, during the learning curve. In the end though, there are usually a few favorites of the trade. In our case, it turned out to be PHP & Bootstrap. Why ? The Benefit of using PHP and Bootstrap combined for us, results in faster creation time for the client. This pages file size on the server side is a tad over 7K, yet on the client side (the page you see) it is over 22K. For the client, it saves cost. To the developer, it saves time and it's mobile friendly... and today, that's most important. 2019 All rights reserved. 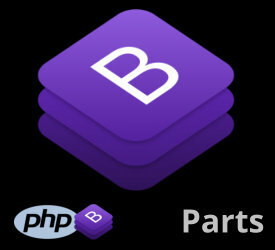 PHP Bootstrap - It's just a toolbox!